See Account Owner to understand what an Account Owner can do. By default each user who signs up independently is the Owner of their own Account/Team, unless they are moved to another Account/Team. The Account Owner can enable Account Owner status for other users in the Account/Team. 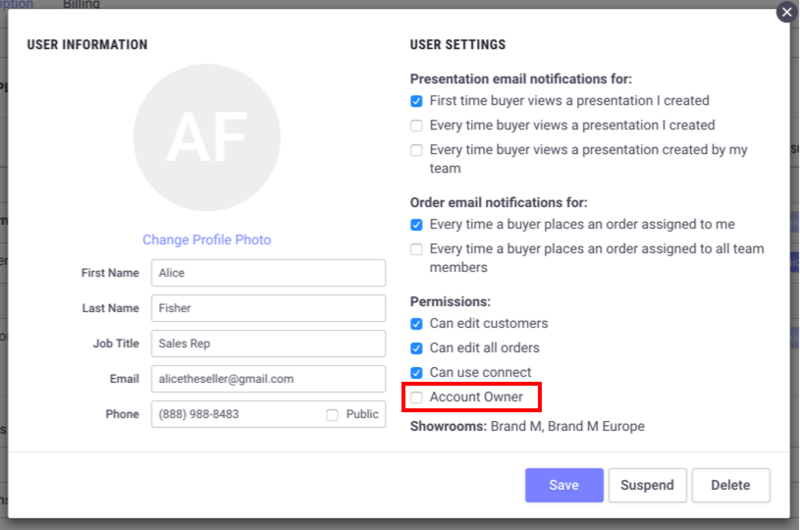 As the Account Owner, follow the steps in Edit User Settings and Notification Preferences to open up a User's Settings. When the Panel appears, check the box for "Account Owner" to enable the status. Account Owners cannot remove their own Account Owner status. They must have another Account Owner remove it for them. Simply follow the steps from the previous section and uncheck the box for "Account Owner" to remove their status.